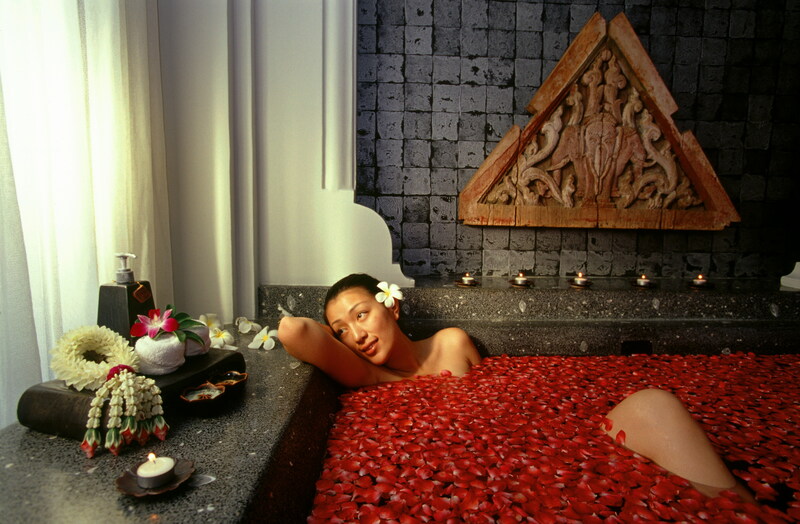 First class hotels with private bath/shower. 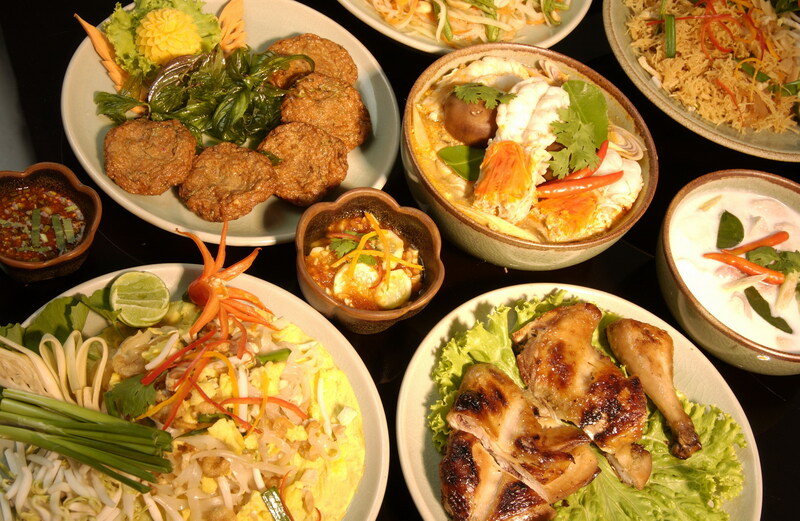 Thailand offers many of the quintessential Southeast travel experiences: spectacular scenery, a rich culture & history, a friendly population and a cuisine as rich in color and appearance as in taste. Designed for travelers seeking to experience best of Thailand. 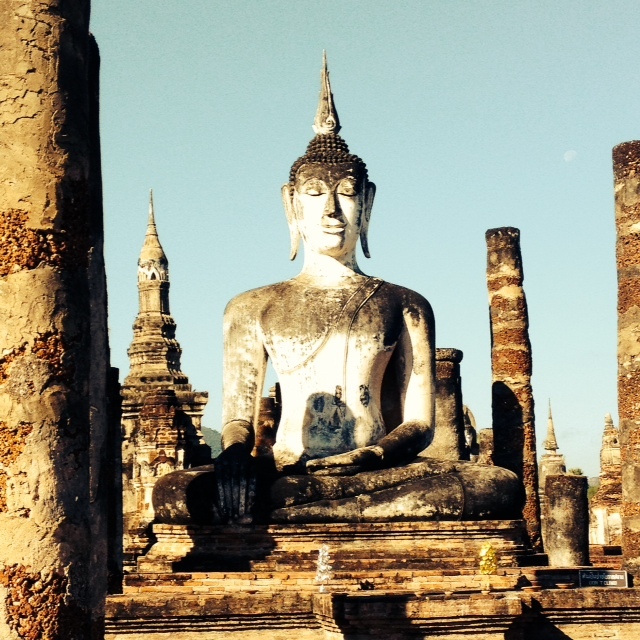 Tour includes Bangkok, Kanchanaburi, historic centers like Ayutthaya & Sukhothai. The northern capital of Chiang Mai remains a travelers favorite with other northern centers including Mae Hong Son, Pai & Chiang. 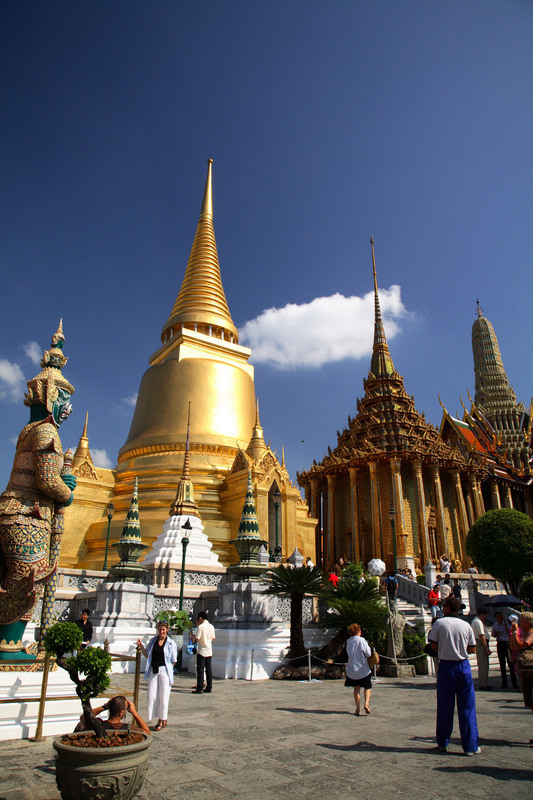 Amazing Thailand tour offers much of above & more. OPTIONAL WELCOME DINNER CRUISE- Meandering along the Chao Phraya River on board the Antique Rice barge travel past some of Bangkok’s most historic riverside landmarks. 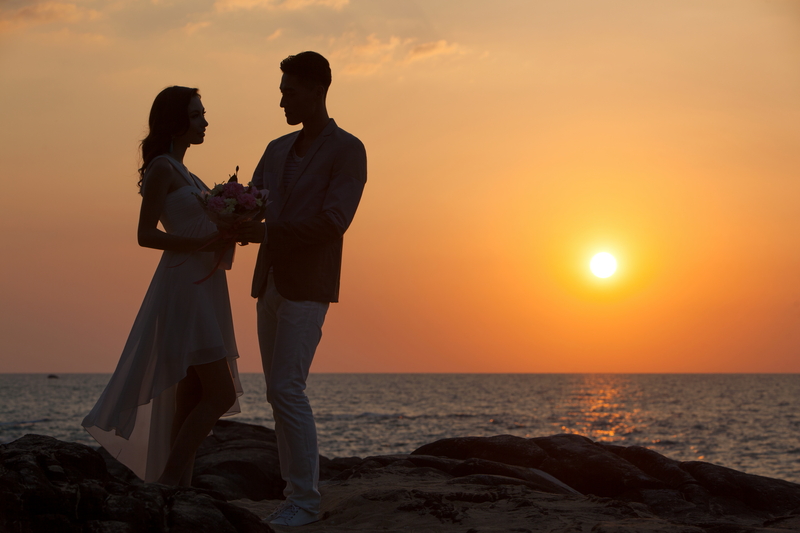 Enjoy dinner accompanied by soft Thai music in the background and traditional dance presentations during the dinner. This morning, visit Jim Thompson’s House and Museum. 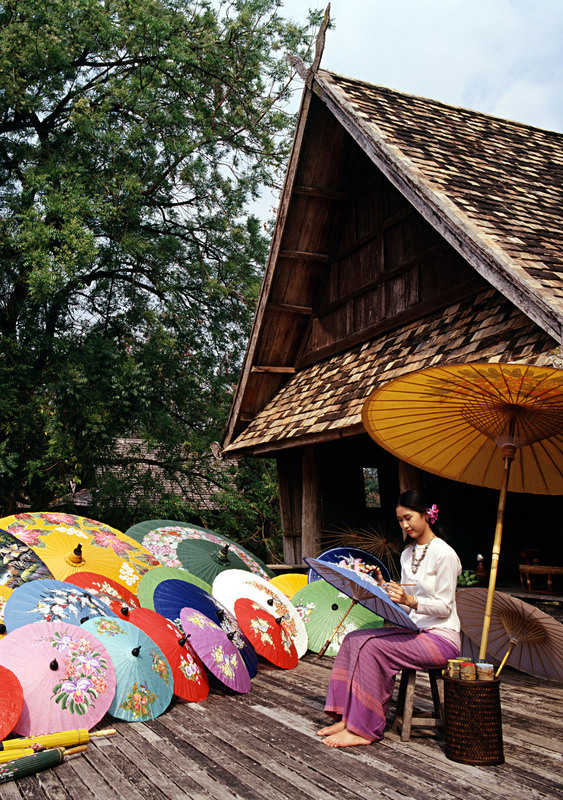 Thompson devoted his efforts to reviving the craft of silk-weaving in Thailand, and Thai silk’s reputation for beauty and quality is largely a result of Jim Thompson’s work. 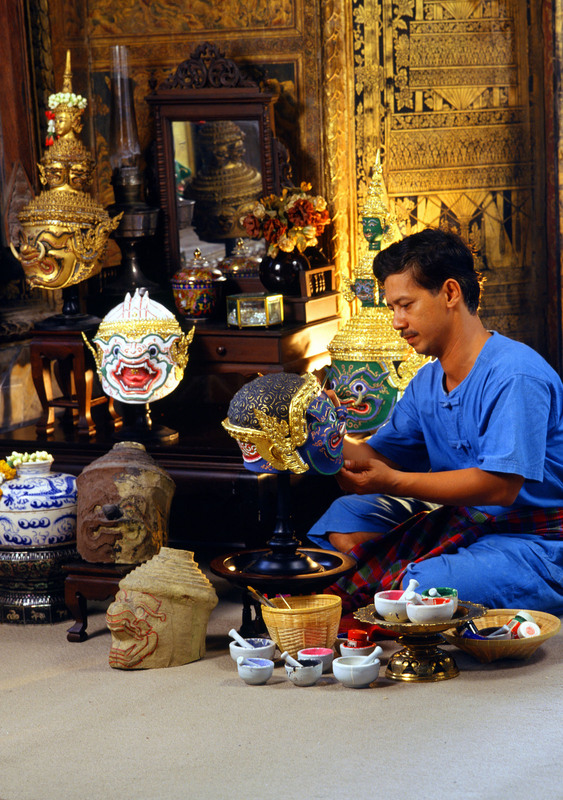 His house features a vast collection of antiques and artworks from throughout Southeast Asia. Rest of the day is at leisure. 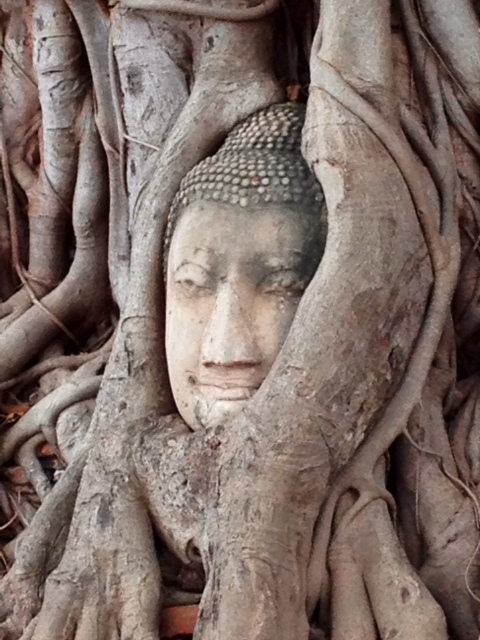 Tour of Wat Mahathat, Wat Sri Chum and Wat Sra Sri. 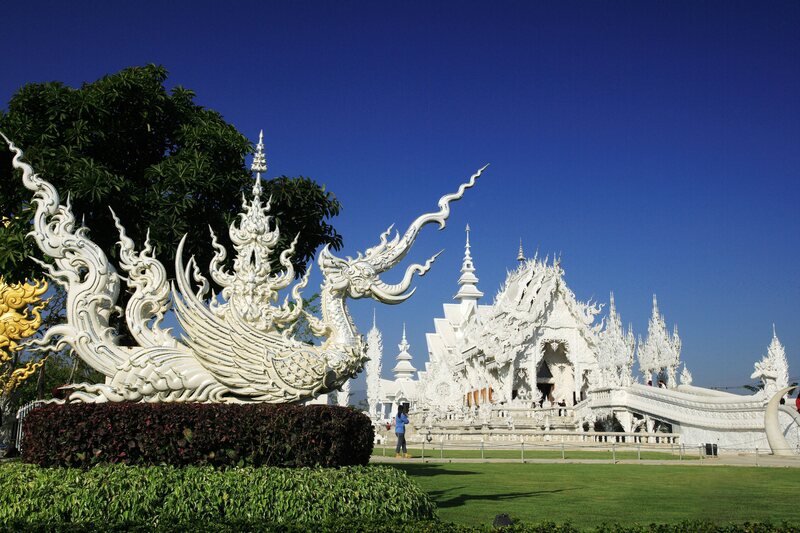 Continue with drive to Lampang, visiting Wat Phra That Lampang Luang and Wat Phra Don Tao. Upon arrival in Lampang, tour the old city on horse carriages. You will also visit Baan Sao Nak, a 100-year-old teakwood mansion, and Wat Chedi Sao, which derives its name from 20 stupas erected on the temple grounds. Monks at this temple prepare medicines from herbs and plants, curing numerous illnesses. 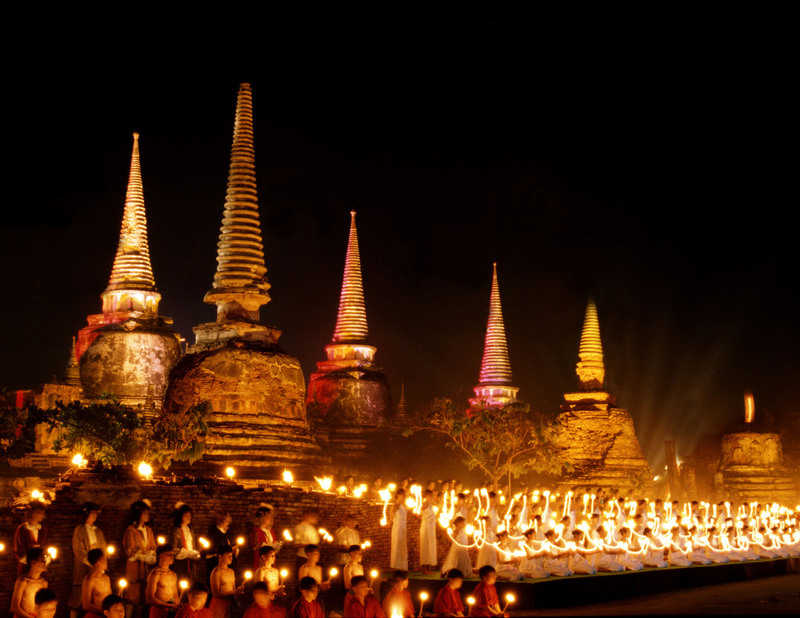 Take a pleasant scenic trip to the north of Chiang Mai. Amidst lush tropical jungle beside a meandering river, watch elephants take their daily bath and see how these magnificent animals are used in the timber industry, pushing, dragging and rolling logs in unison at the command of their mahouts. 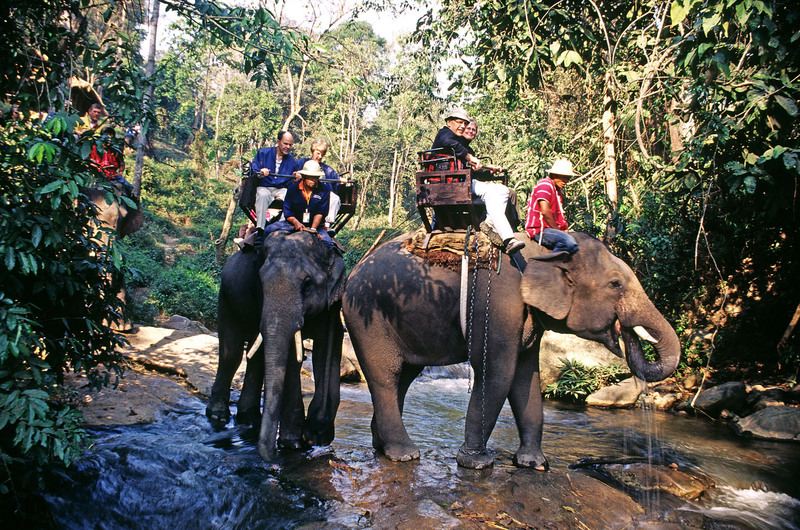 Later, enjoy an exciting one-hour elephant ride over the hills and into the lush jungle, followed by a 15-minute ox-cart ride back to the camp. Land tour: $ 3,860.00 per person sharing.